NEW LISTING – DERRYMORE LANE This 3 bedroom, 2.5 bath home was tastefully renovated with a fresh, modern edge yet, .. The Gateway to Lincoln Circle! This much sought after location features an oversized .62-acre (+/-) lot just moments away from .. Located on desirable Cliff Road, this thoughtfully designed four bedroom home with a separate garage, has detailed finish work throughout ..
Pristine five bedroom home in the highly coveted Cliff neighborhood is the perfect offering with three levels of living space, .. Stunning Victorian farmhouse, located at the end of the prestigious Old Westmoor Farm Road cul-de-sac, originally the site of the ..
Open concept custom home, built in 2013, is set in the desirable Cliff neighborhood – Light and bright, with 4-bedrooms, ..
Great Cliff area location. Oversized lot with two bedroom one and one half bath home and two bedroom, two bath ..
Large sprawling home nestled on a private shelled lane located off of Cliff Road. Soaring ceilings along with the abundance ..
A unique opportunity is now available in the highly sought after Galley Beach neighborhood, in close proximity to the Cliffside ..
BUILDERS, INVESTORS, BUYERS WHO WANT AN ESTATE COMPOUND. Rare Cliff offering. TWO, ONE ACRE LOTS. One with meticulously maintained home .. This beautiful 4 bedroom main home has been exceptionally well maintained and thoughtfully renovated. The new 2 bedroom 2.5 bathroom .. Designed and built with the utmost attention to detail, the finest materials and craftsmanship, this spectacular, custom-built estate sits commandingly ..
CLIFF ROAD! PRIVATE, OVERSIZED LOT WITH POTENTIAL ROOF WALK VIEWS! Main house and cottage, pool and garage are permitted. And, ..
Cliff living at its finest! Open and airy five bedroom, five and one half bath home with bonus den and .. This spectacular one-acre compound, conveniently located close to Town, Westmoor Club and the Cliff, offers both peace and privacy at .. 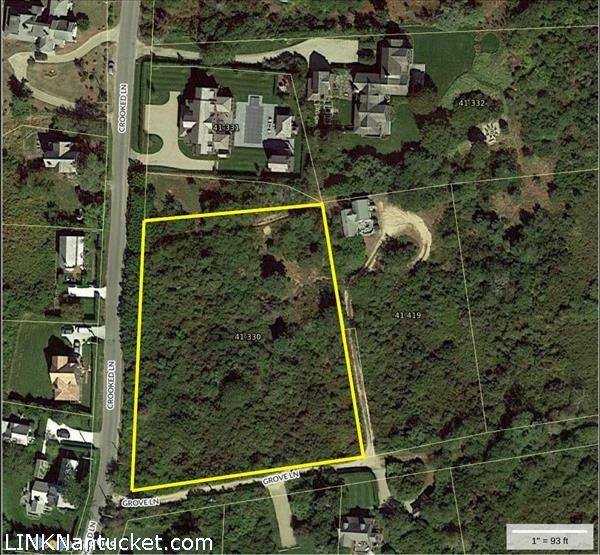 Stunning elevated lot at the end of a cul-de-sac on Maxey Pond with Moor, Nantucket Sound and Pond views. Situated .. Highly sought after location in a tranquil setting moments to Town, The Westmoor Club and Cliff area beaches. Oversized, flat, .. Fantastic oversized lot in a highly desirable location. Easy access to Town, Cliff Road, and the Westmoor Club. Incredible opportunity to own a completely renovated home (inside and out) in the very desirable Cliff area. Original house has .. This Lincoln Circle neighborhood icon was rebuilt in 2012 with thoughtful harmony between the original 1880 facade and the fabulous ..
“Tucked Away” aptly describes this meticulously maintained home situated on an oversized lot that allows for a pool and pool ..